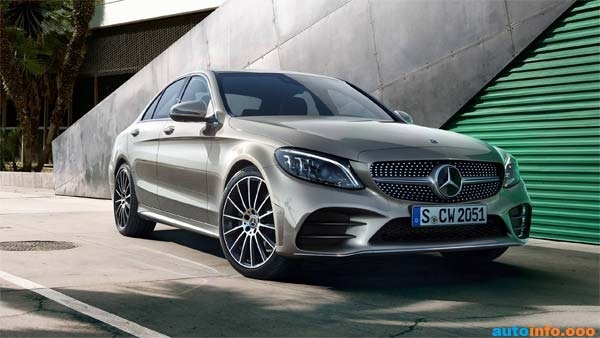 Germany's leading car maker Mercedes-Benz, which has introduced one of the more luxurious cars in the Indian market, has launched a new petrol variant of its finest 2019 C-Class sedan in the country. The company had launched the new generation Mercedes-Benz C-Class in the last September, but at this time the car was introduced only with the diesel variant. Now the company has also launched its petrol variant. The starting price of which is Rs. 43.46 lakh Ex-showroom. After the launch of this new petrol variant, the Mercedes-Benz C-Class will be available in a total of four variants. There are three diesel variants and one petrol variant. The diesel variant includes the C220d Prime, C220D Progressive and Mercedes-Benz C300d AMG line. The starting price of the diesel variant is 40 lakh rupees. 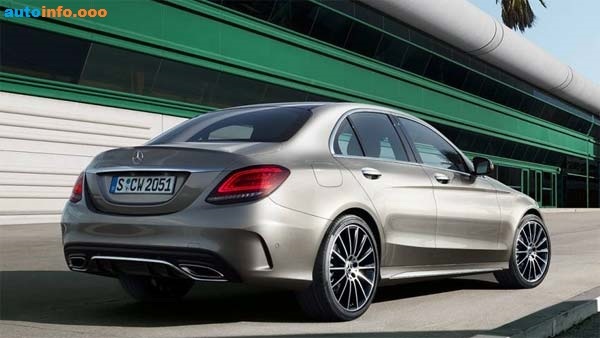 At the same time, its top end variant C300d AMG Line costs 48.50 lakh rupees. In the petrol variant of the new 2019 Mercedes-Benz C-Class, the company has used a 1.5 liter capacity 4-cylinder petrol engine. Which provides a car 180 hours of bhp and torque of 280 nm. In addition, the engine has been tuned to this Mild Hybrid Powertrain, which provides the power of additional 10 bhp and torque of 160 nm. Apart from this, Mercedes-Benz C-Class 2019 gearbox the company has used 9-speed automatic gearboxes in this car. The company has made special technological changes in this car, which makes it even better than the diesel variant. At the same time, the government is getting tough on diesel cars across the country. The main reason for this is pollution. This new variant of Mercedes-Benz will definitely make this lineup even better. If you talk about the features of Mercedes-Benz C-Class 2019 , then the company has included many excellent features in the Mercedes-Benz C-Class petrol variant. Which is also included in the diesel variant. It has multi function steering wheel, dual touch pad control, 10.25 inch command infotation system, panoramic sunroof, active parking assist, ambient light, which is available with 64 different colors. In addition, driver assist features are also included in this. The company claims that these cars have been created keeping in mind the customers' needs. Apart from this, its excellent sewing arrangement and excellent driving experience make your journey even better. These cars, certainly adorned with a very attractive look and robust engine capability, will certainly love customers.